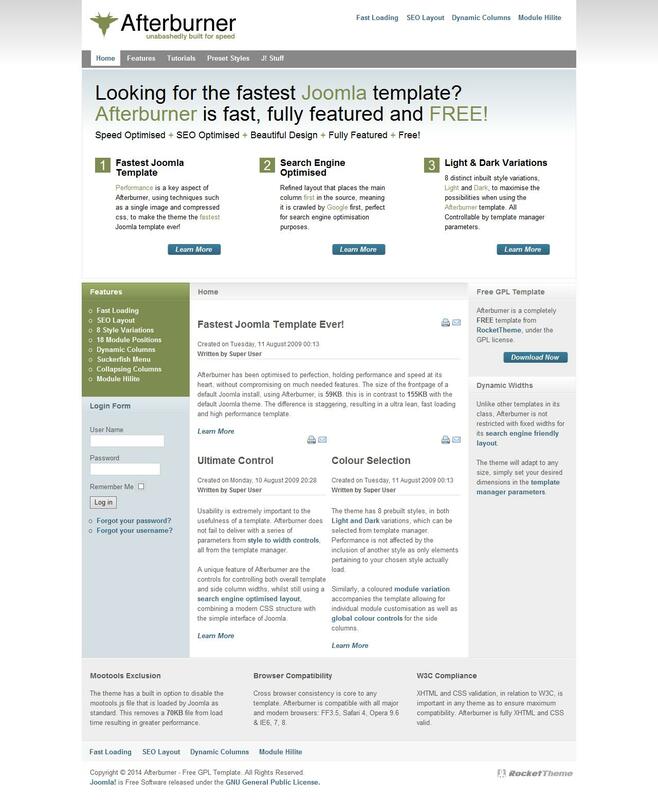 RT Afterburner is the fastest Joomla template created ever and is completely free. The template is based on the standard layout SEO. Has 8 preset styles, both light and dark. The archive version of a template for Joomla 1.6 and 1.5.